This an appetizing first course, suitable for a dinner at the last minute. It is easy and fast to prepare and, by the way, success is guaranteed! I use red onions from Tropea for the sauce; these are a particular variety of red onion from the village Tropea, in Calabria, southern Italy. 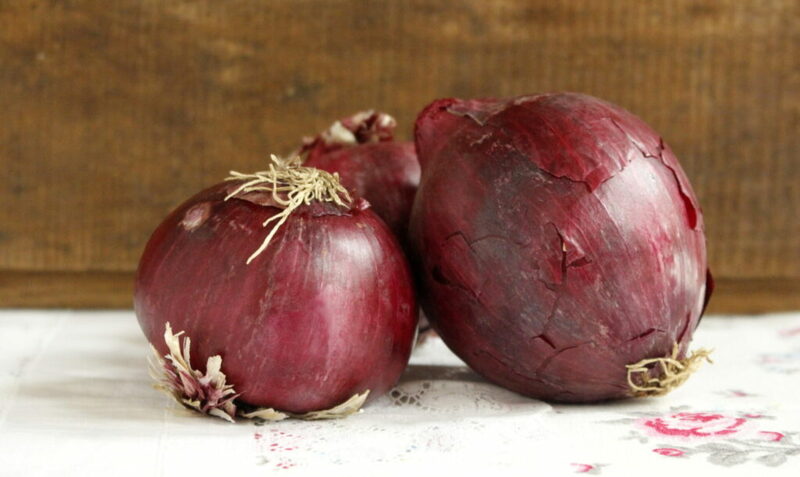 This onion has a stronger and sweeter flavor – and the inner part is juicier and whiter – than other red onions You can also use them to make delicious onion preserves to enjpy with cheese. It is important to include onions in your diet because they are rich in several compounds that could lower the risk of several types of cancer, improve mood and give you healthier skin and hair. Caramelized onions can be prepared in various ways, for example by adding apple cider, vinegar, balsamic vinegar, granulated sugar or brown sugar, but my recipe is special because it includes both brown sugar and chili pepper, giving an extra spicy taste to the recipe. The tangy chili is mitigated by the slightly acidic taste of yogurt. You can use greek yogurt, or else you can strain whole, plain yogurt at home. Finally, the type of pasta is important, I suggest using long pasta, such as tagliatelle or pappardelle. If you want to make this recipe truly divine, you can prepare tagliatelle at home (see fresh pasta recipe). Sometimes I make it with my children as an entertaining family activity. It is a lot of fun!! 3. 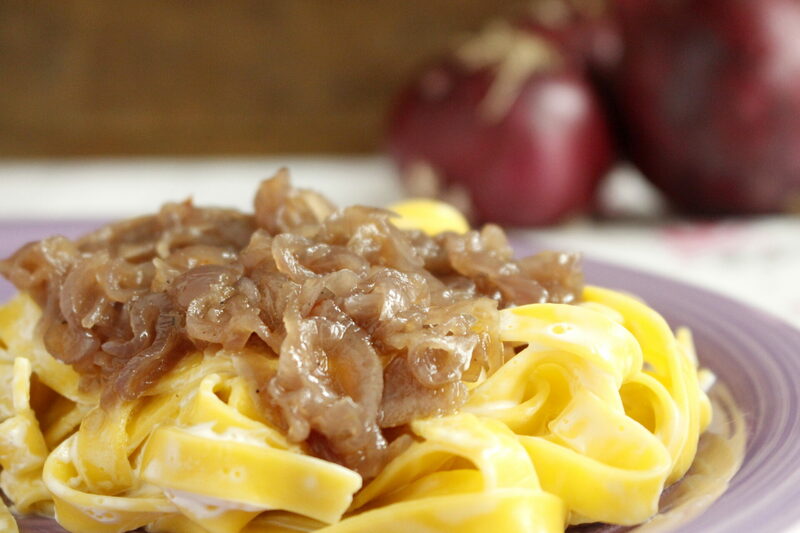 Strain and pour into warm serving dish, toss with the yogurt, garnish with the onions and season with Parmesan cheese. Note: To prepare thick yogurt at home, start with plain, unflavored whole yogurt. Place a cheese cloth or white paper towel and line a fine mesh strainer sitting in the sink or over a bowl or pan. Add the yogurt and leave for about 1 ½ hours at room temperature to relase the liquid. Your yogurt will be ready in no time, and without too much work!